Are you looking for a clean and comfortable room incl. bedding, breakfast and FREE Internet access for 8.7-24 €? 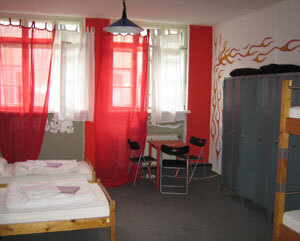 ARPACAY hostel is a cosy and modern hostel located in the centre of Prague. The hostel offers 2-8bed rooms with shared facilities or you can also choose one of apartements with private bathroom, toilet and kitchen. In the hostel you can find 2 individualistic common rooms, SAT TV and a roof terrace with beautiful view to Prague. You can use also left luggage, safe at reception or one of 3 fully equiped guest kitchens for free. There are 5 PCs with FREE Internet acces, laundry facilities and helpful staff at reception. Our apartments in Budapest Hungary offer a comfortable, affordable alternative to hotels. Apartments are situated in the nicest neighborhoods in Budapest. There are a variety of options when considering where to stay in Budapest. One alternative to the hotels, backpackers and hostels on offer is to rent an apartment. You can stay for a few days or a few months and it will usually work out cheaper than most other forms of accommodation and you have the freedom that comes with your own place. We supply all the basic utilities you need and even equipped kitchen, phone and satellite TV! All the apartments in Budapest are situated very close to public transport, major attractions and shopping districts.